Tiffany Handshoe Bachman is a mother of four: two kids, one dog and a husband. 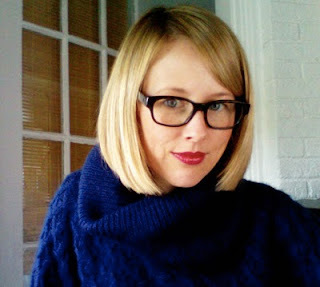 She also is cofounder of design and strategy company, Handshoe Design Collaborative, www.handshoe.com, and publishes two blogs: poeticfood.com (a personal food blog) and 2010-love.com, which she coauthors with her sister and business partner. When not parenting or working, she enjoys cooking, eating, yoga, nonfiction, and learning to make things by hand. She and her family recently relocated from the east coast to the south side of Chicago. Blessed with one of each. My daughter is three and a half, and my son is ten months. Where were you in your career when Amelia was born? 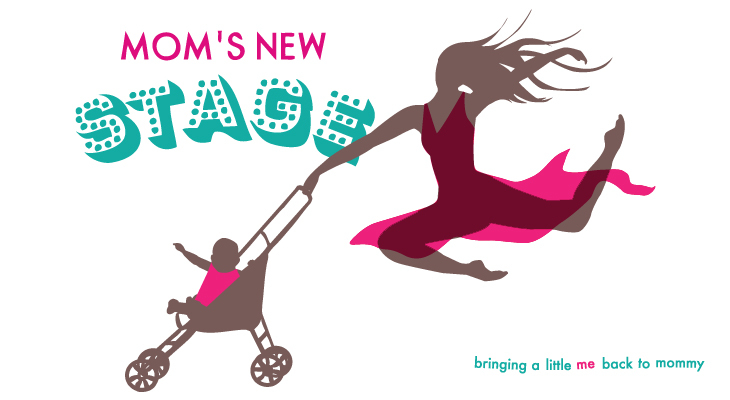 What were your plans for integrating the demands of motherhood into your work life? How did your plans square with reality? When my first child was born, I was working at a small firm in New York City. The height of my career - great colleagues, numerous awards, creative projects - it was wonderful. We had just moved to New Jersey for my husband's new job so we decided that when baby came along, I would start a part-time freelance career and care for our child, rather than commute into the city and work at a demanding firm. I wanted to focus on being a mom and was looking forward to a little 'break' in my career. And I definitely didn't want to waste three to four hours, DAILY, of my precious time on NJ transit. Our plans worked pretty well. I had an in-house caregiver and worked from a home office three days a week, with some nights and weekends. I could use my design brain AND raise my daughter. Lovely, but not very profitable. I made decent money, but no where near the salary I had earned in my prior job. I could balance work/life fairly well, but money was a different story - it's difficult to plan for less money until you actually have less money. So we managed - lived simply. It was an adjustment, but it worked. However, great change equals great opportunities. After freelancing for about a year for several NYC agencies, I had the rare opportunity to explore new career possibilities, one of which was starting a business with my sister - something we had discussed for years. We began Handshoe Design Collaborative in 2009, and launched a humanitarian/awareness project and blog called 2010love in January of 2010. The project (and our business) picked up quickly, and our story was published in several popular blogs as well as HOW magazine, one of the top graphic design pubs in the country. Everything started to evolve into something I hadn't necessarily "planned" on, but had always had in the back of my head. Motherhood opened doors in my career that may have otherwise stayed closed. Taking a break and taking a risk has allowed me to follow some dreams. Even if the full realization of my vision takes some time, I still feel fortunate about the turn my work has taken. We've made some sacrifices along the way, but I couldn't be happier. I also have a very supportive husband. This is key. How were things different by the time Max was born? When thoughts of number two arose, we knew a move back to the Midwest was imminent. Our families are here, it's less expensive, so my husband began looking. He took a fantastic job offer in Chicago, and I found out I was pregnant about a week later. We made the move last year. With relocating and baby number two coming, my career went into a complete HOLDING PATTERN. I was pregnant while selling our house, packing, moving, unpacking, adjusting our two year old to a life change. . .and then everyone's life changed with MAX. He's ten months old and I'm just now starting to get back to work. How do you stay on top of new developments and trends in graphic design? Ahhh! I don't! Well, actually I just try to be as observant as possible. I poke around blogs here and there, facebook, look at what people are wearing/saying/doing on the street, peek in my mags when I have a free moment. It's been really difficult to stay on top in the last year, but typically I dive into publications online and off and just keep conversations going with friends and creative peers. I think one of my strengths is that I can catch on to trends and developments quickly without a lot of information or research. Mothers often feel as though they are torn between motherhood and the part of them that misses doing, being or having something else. Can you speak about this a little? I'm not torn. I need something else. I LOVE MY CHILDREN. And I love my decision in raising them - basically being a stay at home mom. I wouldn't change it for the world. But, I will not be doing this level of mothering forever. And I have a creative mind, heart and soul. My purpose on this earth was not only to raise competent, loving, intelligent children, but to add something else beautiful and/or helpful to the world that they can witness. I want my kids to see their mom as the independent, hard-working, career person that I will encourage them to be. I want to be a role model inside and outside the home. This is my husband's and my view on raising OUR kids, not a generalization on how everyone should raise kids - each person is on their own journey. My journey includes reaching creative and humanitarian goals. Moms don't have to give up their goals in life. When your children are spending more time at school, do you have plans or goals to devote more time to designing? Biggest piece of advice for creative moms who work at home? Find a way to maintain a level of inspiration. Try new hobbies, move to a new city(! ), take your kids to places for you, not just them, and use THEIR toys, imagination, music, and energy to inspire ideas. Also, hire a cleaning service if at all possible. Home equals office, daycare, restaurant, etc. It needs to feel clean. Wow! Thanks, Keesha, for such an inspiring interview with Tiffany :).